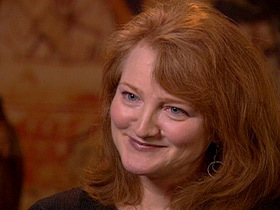 BOB ABERNETHY, anchor: We have a profile today of Krista Tippett, the host of the weekly public radio conversation “Speaking of Faith,” which won a Peabody Award this week. As Tippett and others note, the program might also be called “Speaking of Life,” because it explores big life questions through the personal stories of poets, scientists, writers, and sometimes a theologian or even a journalist, of all faiths. That breadth and Tippett’s skill are why 600,000 people each week tune in and why they are so diverse — faithful believers, atheists and everyone in between. 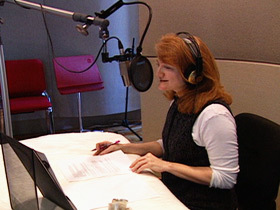 Tippett records her program in St. Paul, Minnesota. What Tippett and her producers create is spiritual and theological insight expressed in everyday language without doctrinal certainty. Ms. TIPPETT: No one who is listening to the program is hearing someone else say, “This is the truth.” But they are hearing people of integrity and wisdom say, “This is my truth. This is how I came to it. This is how I live with it,” and that’s listenable. You can disagree with a person’s doctrine. You can’t disagree with his or her experience. ABERNETHY: “Speaking of Faith” and Tippett’s book of the same name have created fervent fans. This book signing followed a forum in the Washington National Cathedral, where Tippett was the interviewee talking about her own beliefs — for instance, on religion and science. Ms. TIPPETT (addressing audience at Washington National Cathedral): I just completely reject the idea that these are incompatible parts of life. If God is God, we can’t be afraid of what we can learn. ABERNETHY: And the challenge of Islamic extremism. Ms. TIPPETT: This is not, first and foremost, a battle of Islam versus the West. It’s first and foremost a crisis within Islam. Ms. TIPPETT: I don’t think that to be a moral person that you have to be a religious person. ABERNETHY: Tippett’s grandfather had a strong influence on her. He was a Southern Baptist minister in Oklahoma, where she grew up. She turned away from religion for 10 years while she went to college and then worked in Cold War Germany as a reporter and a special assistant to the U.S. ambassador. But she came to think diplomacy and politics did not explain the world well enough, so she went to the Yale Divinity School and studied theology and the Bible. She also experienced a spiritual evolution. Ms. TIPPETT: I would say that what has changed is that I have more comfort with mystery, with the fact that there’s a lot that I can’t add up or pin down that I think that’s right, I think that’s good. ABERNETHY: Does it surprise you and perhaps even make you laugh that you, who started out wanting to repair the world using your mind, now speak of mystery? Ms. TIPPETT: Oh, but I think mystery is intellectually thrilling. One of the things I reject in our cultural divisions is the clash between faith and reason, and I would say the same about mystery and intellect. They are somehow mysteriously akin to each other. ABERNETHY: In the 1990s, the Benedictine monks at St. John’s Abbey in Minnesota hired Tippett to do interviews with people of many beliefs, and that’s where the idea of “Speaking of Faith” was born. 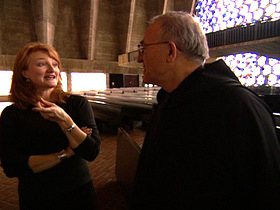 One of the monks, Father William Skudlarek, became a friend and her guide at the Abbey. Earlier, she’d gone back to Christianity and become an Episcopalian. She says she is now firmly Christian but less certain about her denomination. Ms. TIPPETT: My identification with the Episcopal Church is not as strong presently. I’m a little in a bit of a denominational limbo, which is also a place many of my listeners find themselves. ABERNETHY: Tippett writes in her book about having suffered a serious psychological depression. Ms. TIPPETT: Depression can kill you. It can also be a spiritually enriching experience. It’s really an important part of my theology now and my spirituality that life is not perfect, and I grew up wanting it to be and thinking that if it wasn’t, I could make it that way, and I had to acknowledge that I had all kinds of flaws and sadnesses and problems. 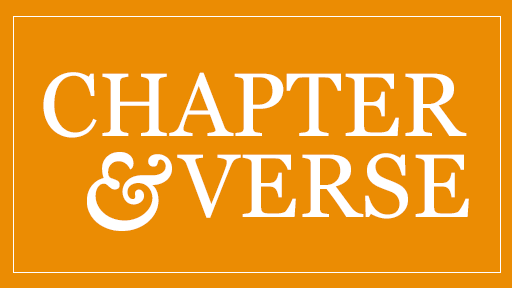 ABERNETHY: And your divorce, along with the pain — what were there lessons there? Ms. TIPPETT: Divorce is a death, and it’s a failure — or that’s how it feels. That’s just another way in which life is not what we wish it to be, and we have to live gracefully with what it is. I’m quite proud of how my former husband and I now are friends and absolutely co-parents to our children. ABERNETHY: Tippett’s children are Aly, 14, and Sebastian, nine, and sometimes when she revisits St. John’s Abbey she takes them with her. I asked her why. 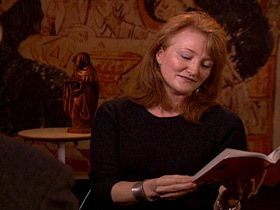 Ms. TIPPETT: This experience of mystery that we talked about, I have that experience in the Abbey church here. It’s a feeling. It’s — it’s a transcendent experience. I want them to experience that, that mystery. ABERNETHY: Perhaps they did in church or as they looked at a page of the illustrated Bible St. John’s Abbey has commissioned. SEBASTIAN TIPPETT (reading “Solomon’s Prayer for Wisdom”): Give me the wisdom that sits by Your throne, and do not reject me from among Your servants, for I am Your servant, the son of Your servant. ABERNETHY: It was late winter when Tippett and her children visited St. John’s, and we asked her to read a passage from her book. Ms. TIPPETT (reading from “Speaking of Faith”): “As a journalist, I’m deeply aware of how strangely tricky it is to make goodness seem relevant, or at least as perversely thrilling as evil. But if I’ve learned anything it is that goodness prevails not in the absence of reasons to despair, but in spite of them, and my radio conversations teach me that people who bring light into the world wrench it out of darkness and contend openly with darkness all of their days. They don’t let despair have the last word, nor do they close their eyes to its pictures or deny the enormity of its facts. They say, ‘Yes and,’ and they wake up the next day and the day after that to act and live accordingly.” That’s not something I had ever put words around before.